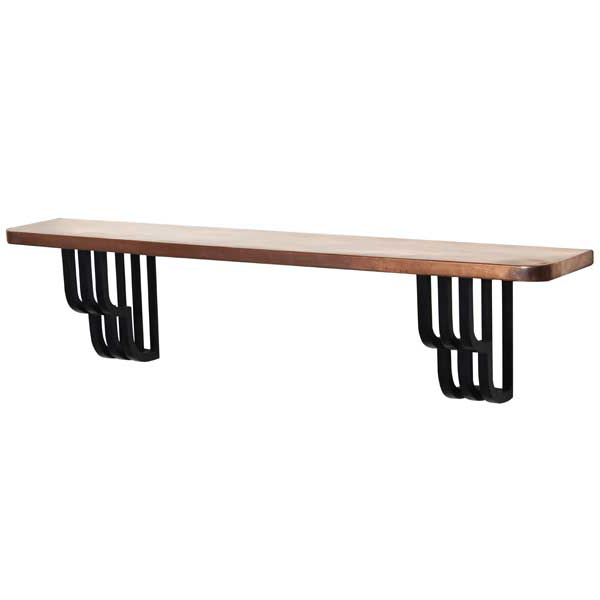 The brackets of the Copper or Brass Wall Counter Bar were inspired by furnishings of the Art Deco Period. Art Deco was an influential visual arts design style that first appeared in France just before World War I and began flourishing internationally from the 1920s thru the 40s. It took its name from the Exposition Internationale des Arts Décoratifs et Industriels Modernes (International Exposition of Modern Decorative and Industrial Arts) held in Paris in 1925. It was an eclectic style that combined traditional craft motifs with Machine Age imagery and materials. The style was often characterized by rich colors and bold geometric shapes. The Art Deco movement flourished during the interwar years when rapid industrialization was transforming culture. One of its major attributes was an embrace of technology. It has been defined as an assertively modern style that emphasized symmetry rather than asymmetry, and the rectilinear rather than the curvilinear. During its heyday, Art Deco represented luxury, glamour, exuberance, and faith in social and technological progress. 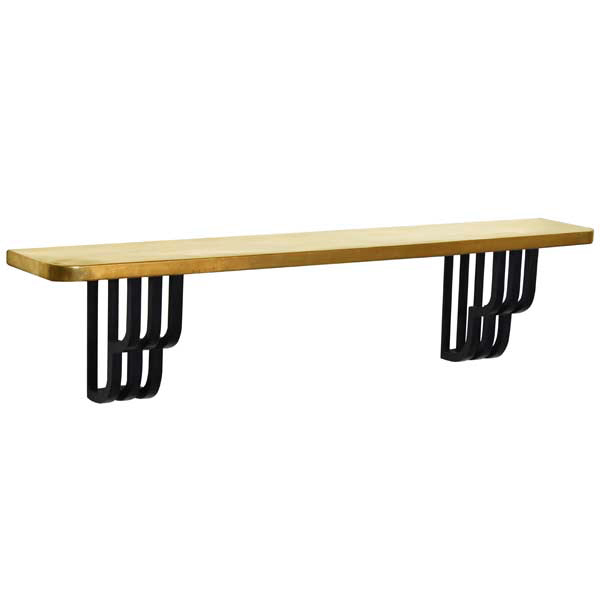 The Copper or Brass Wall Counter Bar was designed by Shah Gilani, ISFD. Robust construction of the pair of brackets allows them to safely support a heavy top. 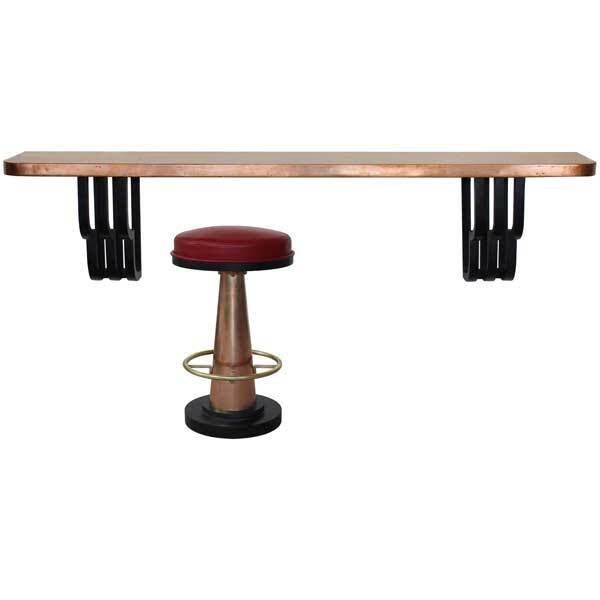 The bar top is constructed by stretching heavy gauge copper or brass sheet over a steel frame. The sheet metal is lightly distressed and antiqued. The brackets are available in a variety of finishes. Custom sizing is available.